This topic contains 3 replies, has 3 voices, and was last updated by Moose 1 year, 9 months ago. I tried twice all different ways to say my $ price including the dollar sign, spelling the five hundred dollars–what else can I do? very frustrating. I’m pretty sure No dollar sign, and no commas. Moose I’m having the same problem as Becky!!! I had trouble last fall,last winter twice and again this spring four times,I just can’t get my price in no matter how I enter it. I gave up and went some where else. You said it had to be on my end.I don’t believe that’s the case. Why would more than one have this problem. Three different people helped me and none of them could understand why i was not accepted. It was mighty frustrating to go through that whole process over and over and not get anywhere. Lonnie, I just posted a test ad again myself. Just numbers for price, no punctuation. I have had no problem doing it this way. If you are doing it this was, and your ad is being rejected because of the price, the only thing I can think of is that your browser is the problem. BTW, I use Chrome for my browser. Please keep in mind that while I own and operate this site, I do not allow any outside advertising or make money from it. All of the costs and energy to keep the site going are my own. 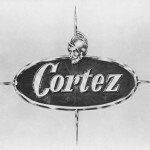 I am a Cortez Owner, not a coder or web designer. I cannot solve every problem that arises from it. If I recall, I posted the ad for you, which I am willing to do for anyone having problems.